Twin Casino was launched mid-2017 as a refreshing casino site on the market filled with so many similar online casinos. 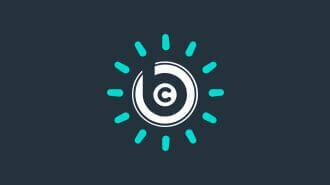 The site boasts with simplicity and creative way of categorising its 300+ titles. 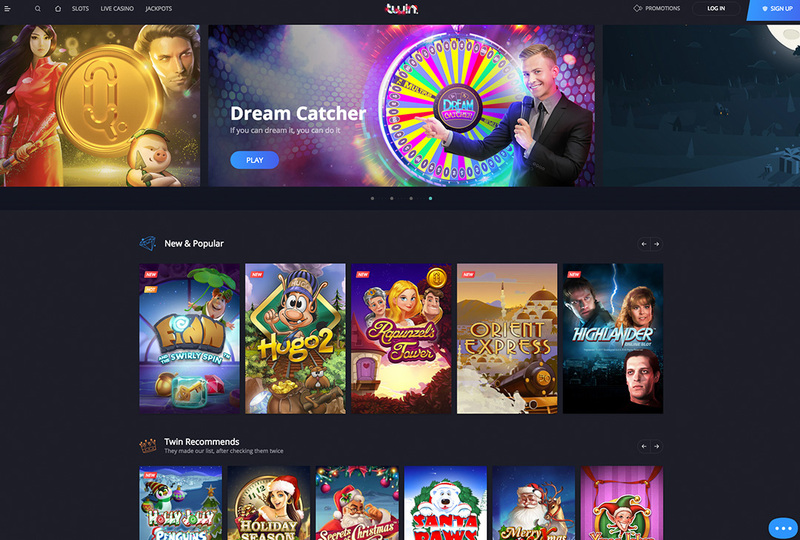 Its design suits the taste of modern-day online gamblers, plus the platform is available across various gambling channels including PCs, smartphones and tablets. Moreover, this online casino uses the services of leading providers and features numerous lucrative bonus opportunities; put differently, Twin Casino is here to stay and establish itself as a world-class option for players worldwide. 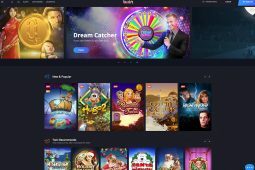 Launched in 2017, Twin Casino boldly entered the already packed online gambling market. This casino site attracted attention thanks to its simple, yet modern design as well as excellent mobile gambling platform. Moreover, Twin Casino has an interesting approach towards its offers and services, all of which carrying cool names to suit the casino’s title. Therefore, players should expect lots of Twinning, Twins and other Twintastic terms. This gambling destination is owned and operated by Oring Ltd, a company based in Malta. The operator for the time being is licensed in two jurisdictions only – Malta and Curacao. This means that players from many popular markets including United Kingdom, Australia and United States cannot play at Twin Casino. Nonetheless, players from many other countries are welcome to enjoy the safe and fair environment provided at the site. With more than 300 casino games by NetEnt, Microgaming and three other well-established named in the industry, Twin Casino has a lot to offer in terms of actual playing. All its picks are carefully categorised into appropriate sections, feature interesting themes and boast with high-quality graphics. Restricted Countries: United Kingdom, Australia, United States of America (and its dependencies, military bases and territories, including but not limited to American Samoa, Cyprus, Guam, Marshall Islands, Northern Mariana Islands, Puerto Rico, and Virgin Islands), Denmark, Netherlands, South Africa, Afghanistan, Algeria, Belarus, Belgium, Bouvet Island, British Indian Ocean Territory, Bulgaria, Comoros, Czech Republic, Estonia, Ethiopia, France, Greenland, Greece, Holy See (Vatican City State), Hong Kong, Hungary, India, Indonesia, Iran, Iraq, Ireland, Israel, Italy, Jordan, Democratic People’s Republic of Korea, Kuwait, Latvia, Libya, Lithuania, Malaysia, Montenegro, Myanmar, New Caledonia, Nigeria, Pakistan, State of Palestine, Philippines, Poland, Portugal, Romania, Russian Federation, San Marino, Singapore, Slovakia, Slovenia, Somalia, South Georgia and the South Sandwich Islands, South Sudan, Spain, Sudan, Syria, the Faroe Islands, Turkey, Western Sahara, Yemen. Even though a new player on the market, Twin Casino shouldn’t be overlooked by players. This gambling site holds two reputable gambling licenses, features games by popular software providers and offers impressive bonuses. In other words, it deserves a chance to prove gamblers that it has the potential to become a well-established name among the top players. "The Casino's twin concept puts a fun twist to the typical online casino and it's got us buzzing. Double bonuses, amazing game choice and an easy to navigate website." All offers at Twin Casino have interesting and catchy names; therefore, the welcome offer is named Twintroduction and treats newly registered players with a 100% match up to €100. However, in order to be eligible to receive this generous offer they first must deposit at least €20. Making a deposit of at least €50, on the other hand, earns newbies additional 50 free spins on the slot Mayana. The bonus is available for 30 days from the moment it was credited and comes with playthrough requirements of 40 times. There are many other ways to get pampered at Twin Casino too. For example, the Twinsome promotion gives players a 30% match up to €50 on their deposit made during the promotional period stated in the offer. The operator also celebrates all new games by launching appropriate promotions that feature them. Thus, the Phantom of the Opera came along a tournament whose main prize is an exclusive trip to London. Plus, every month Twin Casino gives away a huge number of free spins on selected games too. The pampering doesn’t end with bonuses and promotions; on the contrary, the more they play, the more rewards players at Twin Casino get. Namely, the Quickspin Achievements motivate players to stay loyal to their favourite game and rewards them with tokens in return; the tokens can then be cashed in the game for triggering the game’s bonus feature such as free spins, re-spins, side games etc. Twin Casino uses the services of five well-established casino providers. Microgaming, NetEnt, Quickspin and Yggdrasil are responsible for supplying the selection of online casino games, while Evolution Gaming rules the live dealer section. Therefore, players can choose between 300+ high-quality games, out of which the majority is slots. In fact, besides all kinds of slots, some table games and video poker picks, there’s not much else to play at Twin Casino; this can be a deal breaker for players that want a wider selection of games. A list of the games they offer: Live games, Slots, Roulette, Video poker, Blackjack, Craps and dozens of others. A wide range of safe and reliable deposit and withdrawal methods are offered to players at Twin Casino. Namely, users can transfer money to and from their casino account using credit cards, debit cards, e-wallets and a few other options. Making a deposit at Twin Casino is both instant and free; namely, the operator doesn’t charge fees on payments made by players and processes all deposits right away. The options are numerous and include popular picks like Visa, MasterCard, Neteller and Paysafecard. In terms of deposit limits that Twin Casino should have in mind, the minimum deposit amount accepted by the operator is €20, whereas the max deposit per transaction is reasonable €5000. Even though the list of cashout methods could be longer, players still have a good deal of options to choose from. The processing time is either instant or may take between 1-4 business days, depending on the methods players have opted to use. It should be noted that e-wallet and credit/debit card withdrawals come with a €2.5 fee. There are certain withdrawal limits that players of Twin Casio should know before requesting a withdrawal. Therefore, the minimum cashout amount is set at €20 for all methods, whereas the max withdrawal per transaction is either €5000 or €10000. Players get access to 300+ games and massive network jackpots. A long list of bonuses, promotions and treats for players. Excellent gambling experience on both desktops and mobile devices. Easy to navigate casino site with modern-looking design. No phone support providers to players. Wagering requirements on all bonuses are above the average. Most withdrawal methods come with some transaction fees. Major markets like USA, UK and Australia are restricted. Even though launched very recently, Twin Casino is a destination that deserves players’ attention. Customers at Twin Casino are treated with utmost respect and pampered with appropriate bonus offers; moreover, they are given access to more than 300 games by leading providers like NetEnt and Microgaming. When the combination of great picks and bonuses is spiced up with the casino’s sleek design, top support and reasonable banking policy, what players get is a top site where they can enjoy their favourite games anywhere and anytime. Ready to Play at Twin Casino? Twin Race for €30,000 at Twin Casino!